Product prices and availability are accurate as of 2019-04-14 14:55:57 BST and are subject to change. Any price and availability information displayed on http://www.amazon.co.uk/ at the time of purchase will apply to the purchase of this product. 100° Proof is a cask-strength Islay from Port Askaig. With notes of sweet fruit, peat smoke and minerality, this is a benchmark Islay whisky and a great everyday peaty dram at this price. 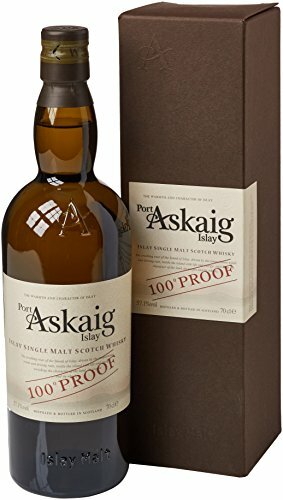 Port Askaig 100 Proof brings together sweet fruit, peat smoke and a wonderful minerality. It is fresh and vibrant, delivering peat and citrus on the palate whichstay with you into the finish. Distilled and bottled in Scotland. Best served with a splash of mineral water.